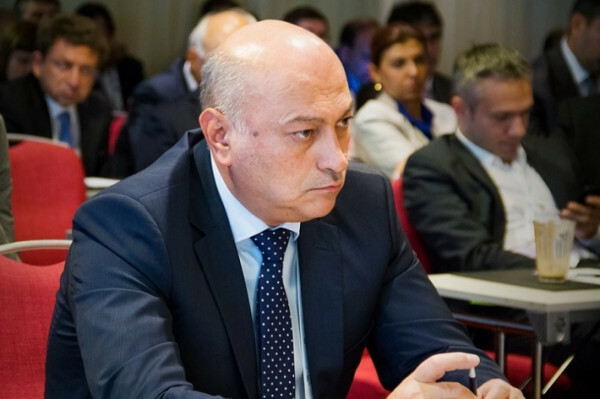 Today Zurab Azmaiparishvili was chosen for ECU President for the second time. Elections were held in Batumi, Hilton Hotel. Out of 50 delegates Zurab was supported by 44. Azmaiparishvili, who holds this position since 2014, was the only candidate in this election. He will lead the ECU with his new team until 2022. In Zurab Azmaiparishvili’s team the General Secretay will be Theodoros Tsorbatzoglou, the first Deputy President will be Gunnar Bjornsson, Vice-Presidents will be Dana Reizniece-Ozola and Johann Poecksteiner. “I want to thank all of you for your support. After analyzing the previous four years’ work, I decided to run for president of the European Chess Union once again. I want to gain your trust again. I can do a lot more with my team and this is where my slogan comes from: “There’s more to be done.” You are familiar with my program and projects. During the period of being ECU President me and my team finished many important projects successfully. I believe my main achievement is the unity of the organization. I’m sure next four years will be better. Challenges are big, but people on my side are the ones, with whom it’s impossible not to succeed. We’ll take ECU on the higher level in next four years!” – said Zurab Azmaiparishvili.